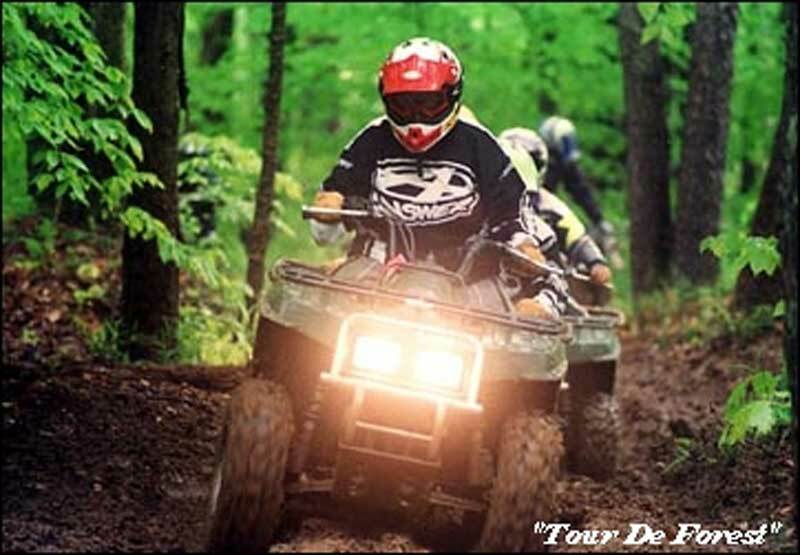 Tour De Forest Preregistration - Marienville Volunteer Fire Company, Inc.
RELEASE AND WAIVER OF LIABILITY AND INDEMNITY AGREEMENT For Tour –De- Forest * ATV Trial Ride * Marienville Pa 16239DESCRIPTION AND LOCATION OF EVENT IN CONSIDERATION of being permitted to enter for any purpose any RESTRICTED AREA (herein defined as including but not limited to the riding surface, pit areas, infield, approach area, shutdown area, and all walkways, concessions and other areas appurtenant to any area where any activity related to the event shall take place), or being permitted to compete, officiate, observe, work for, or for any purpose participate in any way in the event, EACH OF THE UNDERSIGNED, for himself, his personal representatives, heirs, and next of kin, acknowledges, agrees an represents that he has, or will immediately upon entering any of such restricted areas, and will continuously thereafter, inspect such restricted areas and all portions thereof which he enters and with which he comes in contact, and he does future warrant that his entry upon such restricted area or areas and his participation, if any, in the event constitutes an acknowledgment that he has inspected such restricted area and that he finds and accepts the same as being safe and reasonably suited for the purpose of his use, and he further agrees and warrants that if, at any time, he is in or about restricted areas and he feels anything to be unsafe, he will immediately advise the officials of such and will leave the restricted areas: 1. HEREBY RELEASES, WAIVES, DISCHARGES AND COVENANTS NOT TO SUE the promoter, participants, racing association, sanctioning organization or any subdivision thereof, track operator, track owner, officials, car owners, drivers, pit crews, any person in any restricted area, promoters, sponsors, advertisers, owners and lessees of premises used to conduct the event and each of them, their officers and employees, all for the purposes herein referred to as “releasees”, from all liability to the undersigned, his personal representatives, assigns, heirs, and next of kin for any and all loss or damage, and any claim or demands therefor on account of injury to the person or property or resulting in death of the undersigned, whether caused by the negligence of the releasees or otherwise while the undersigned is in or upon the restricted area, and/or, competing, officiating in, observing, working for, or for any purpose participating in the event. 2. HEREBY AGREES TO INDEMNIFY AND SAVE AND HOLD HARMLESS the releasees and each of them from any loss, liability, damage, or cost they may incur due to the presence of the undersigned in or the restricted area or in any way competing, officiating, observing, or working for, or for any purpose participating in the event and whether caused by the negligence of the releasees or otherwise. 3. HEREBY ASSUMES FULL RESPONSIBILITY FOR AND RISK OF BODILY INJURY, DEATH OR PROPERTY DAMAGE due to the negligence of releasees or otherwise while in or the restricted area and/or while competing, officiating, observing, or working for any purpose participating in the event. EACH OF THE UNDERSIGNED expressly acknowledges and agrees that the activities of the event are very dangerous and involve the risk of serious injury and/or death and/or property damage. EACH OF THE UNDERSIGNED further expressly agrees that the foregoing release, waiver, and indemnity agreement is intended to be as broad and inclusive as is permitted by the law of the Province or State in which the event is conducted and that if any portion thereof is held invalid, it is agreed that the balance shall, notwithstanding, continue in full legal force and effect. THE UNDERSIGNED HAS READ AND VOLUNTARILY SIGNS THE RELEASE AND WAIVER OF LIABILITY AND INDEMNITY AGREEMENT, and further agrees that no oral representations, statements or inducements apart from the foregoing written agreement have been made. Unlimited available	 Passenger $10.00 1 Passenger Must Have Approved Seat. (814) 927-6609 "Please no messages"